Accent walls have been the focus of much debate in the design community. Some feel strongly that accent walls do more harm than good. Others, including designers at Cathers Home, believe that when used properly, they are a powerful tool to create unique and dynamic spaces. To shed light on this topic, here are some of our best practices for accent walls. Too often accent walls beg the question, “why didn’t you finish painting the room?” When used properly accent walls can serve to highlight the main piece of furniture in the room such as a bed (seen above) or a desk. Accent walls can also be used to highlight unique architectural elements, seen above, drawing the eye to the uniqueness of the space and in the case of the bunk beds seen below adding depth to a smaller space. When making the choice of adding an accent wall, always ask yourself why. Once you have a reason for an accent wall you have to pick a color, second to the location this is the most important piece of a successful accent wall. Different colors create different effects on the eye; warm colors seem to come towards the viewer while cooler colors, as seen in the patterned grey wall of the bunk bedroom above, tend to draw away. Keeping this in mind when choosing a color for you accent wall will help you make the best choices for the feel and flow of your space. Once you’ve committed to an accent wall, do your best to complete the design in regards to the whole room. Whether it’s a patterned on the accent wall or a unique series of accessories to fit with the room, do what needs to be done to make the whole space right. In the office space seen below Cathers Home added a unique patterned accent wall that is highlighting the desk while matching with the orange lamp, creating a work space that is at once boldly unique and subtly cohesive. Budget. That word can be the source of anxiety for anyone remodeling or building their own home. But it doesn’t need to be that way. The designers at Cathers Home know that costs can be a hot button issue, so they’ve put together these tips to alleviate some of the stress associated with crunching the numbers. 1. Start early. Knowing the overall budget at the outset will determine the general approach of the project. Spending $50,000 versus $500,000 is a huge difference in scope and will produce a dramatically different result. Letting your designers know your budget early on will help them to customize the design to your requirements. 2. Ensure that your budget is realistic. TV shows don’t always give the whole picture when quoting home design costs. Location, complexity and level of finish are factors Cathers designers will take into account. If there’s been home construction in your neighborhood recently, chat up the owner on your nightly walk. They may explain some tips that will save you money in the long run. 3. Plan for a contingency. On projects that involve many phases, contractors and materials, situations may arise that increase costs. From removing huge boulders underground to uncovering structural damage, unforeseen work has a habit of popping up. A 20% contingency budget will help deal with these items that are unknowable before the project begins. 4. Understand what you’re paying for. Permit fees, electrical diagrams, furniture, plumbing services—what’s included in the contract? Hard costs include the costs of construction materials and fixtures needed to build the structure. Soft costs cover fees for permits, consultants and trades. Having an idea of what is covered in the budget promotes peace of mind when considering upgrades or other changes. The Cathers Team is your partner in developing a construction budget. They’ll keep your ideas in mind when developing the best financial plan for your construction project. Whether your project is one room or a whole house, the Cathers Home team will work with you to develop a reasonable budget that accomplishes your design goals and manages costs wisely. Cathers Home has been making a name for themselves not only in the Roaring Fork Valley, but also in the global home design community. Houzz, the leading online platform for home remodeling and design, awarded Cathers Home Architecture & Design Studio Projects as the most popular among its 35 million users. A “Best of Houzz 2016 - Design” badge appears on Cathers Home profile, as a symbol of their commitment to quality and excellence. These badges help homeowners identify popular and top-rated home experts in every metropolitan location on Houzz. Here are a few of Cathers Home latest projects. Come to our showroom in Basalt, Colorado to see and feel the exquisiteness of our designer furniture and accessories. Creating inviting, comfortable spaces is our passion. Paul Cathers manages his business like he manages his life, by combining a well-honed aesthetic sensibility with a commonsense, functional approach. It’s this deep immersion in both worlds that has driven the success of his Basalt-based design center, Cathers Home. As a young adult, Paul’s career in the fashion industry took him to all points of the globe. Charismatic characters and diverse cultures influenced his worldview and galvanized his passion for beautiful design. Paul Cathers continues to travel internationally, seeking out elements and surroundings that inspire him, imbuing his work with rich materials, intriguing textures and welcoming simplicity. Working with artisans from Nepal, Tibet, Pakistan, Indonesia and beyond, Paul has created an extraordinary collection of handcrafted furniture, rugs and accessories. The 7,000 square foot combined retail showroom, design center and rug gallery in Basalt, Colorado is a testament to Paul’s creative energy. Every piece is chosen with an eye towards natural elements and the story it has to tell. The Cathers Design Team, handpicked by Paul, instills a balanced blend of diverse home furnishings and distinctive rugs throughout the space. The expert designers are knowledgeable, dedicated and easily manage everything from budgeting to final project completion. Besides traveling and running his popular business, Paul spends time with his family and pursues athletic endeavors that abound in the Roaring Fork Valley. Paul Cathers continues to fuse his international travel experiences, innate design sense and efficient business practices into a company that merges timeless mountain elegance with exquisite contemporary designs. If you’d like to see Paul's’ creative energy in action, please stop by our showroom at 530 Basalt Avenue in Basalt, Colorado, call 970.927.6556 or send us an email. When planning a new home or remodel, keeping track of all the details can be overwhelming! Our friendly design team has extensive experience in managing residential projects, large and small. We can help when that premier walnut flooring won’t arrive in time or when the electrician needs to suddenly leave town. Our Residential Design Services give you peace of mind by creating a strong project plan and by taking care of issues that crop up during conception, installation, or completion. We partner with you and the builder, forming a cohesive team to implement a successful project. Developing a budget is sometimes the most difficult part of the design process. Our ASID designers are experts at making the most of your hard earned dollars. If some options don’t work with your budget, our designers will quickly and appropriately develop other ideas, tailored to your style. The Cathers Home team knows that staying within the budget is important, and they keep this objective at the forefront during the life of the project. Perhaps you have an idea of what you’d like to improve in your home, but need help visualizing the layout. 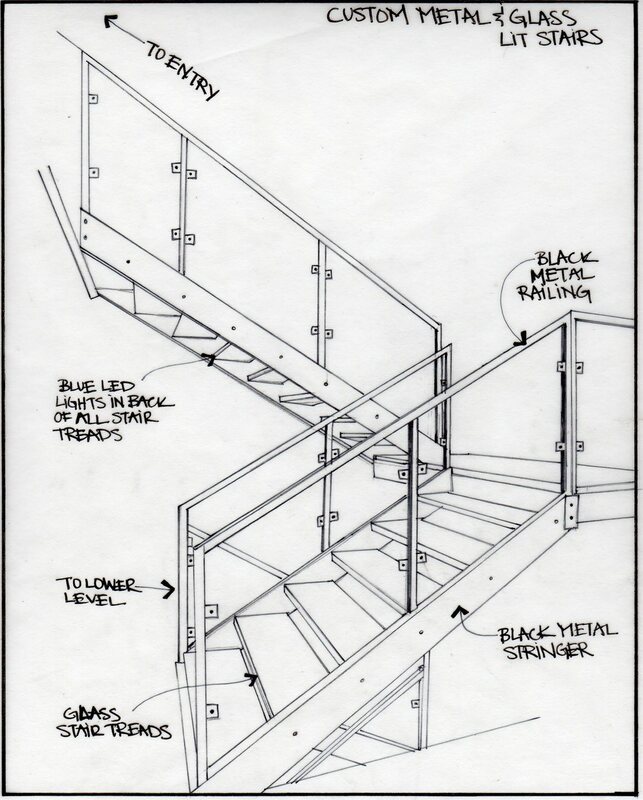 Our hand sketches and AutoCAD skills give life to your vision. Together we’ll develop a design plan and layouts to create a functional and beautiful environment that reflects your lifestyle. We can also assist with tile specifications, furniture layouts, space planning, custom window treatments, lighting specifications and any aspect of the design process. Whether you’re remodeling a room or building a new home, it’s a major investment of time and energy. Our Cathers Home design team has the experience, professionalism and industry knowledge to assist you in seamlessly creating a unique space that reflects your requirements and lifestyle. The gorgeous colors of Tufenkian Carpets are one reason to fall in love with the woven masterpieces. The exquisite craftsmanship and beautiful patterns are added reasons to cherish them. Another attraction is the Tufenkian mission, which appeals to the greater good: To create great things that enrich the lives of those who make them and their communities. In 1986, James Tufenkian revolutionized the handmade carpet industry in Tibet and Nepal by bringing back the tradition of hand weaving. In 1993, Mr. Tufenkian rejuvenated Armenia’s inactive weaving craft by restoring the age old tradition to a nation recovering from economic disaster. The attention to expert quality is evident in every yarn and at every level of their business. From shearing the sheep to washing the wool, to dyeing and spinning, to the final weave, artisans infuse their creations with love, care and individuality. The Tufenkian businesses are run with sustainability as the highest priority, for the earth and for individuals. To read more about the Tufenkian enterprise, take a look at this tutorial. Better yet, come in to our showroom and run your fingers over the soft, yet durable yarn and amazing designs that last for generations. Cathers Home is one of two stocking dealers of Tufenkian Rugs located on the Western Slope. We’d love to show you our Tufenkian collection. Cathers Home is honored to have been chosen as the top interior design firm from the Roaring Fork Valley to appear in United Airlines’ Rhapsody Magazine. As a monthly luxury publication, Rhapsody offers a unique perspective of culture, fine dining and luxury goods to United’s premium cabin customers. · The knowledge, design ingenuity, experience and professionalism to provide great services, while creating comfortable and inviting spaces. We hope that you’ll choose us for the same reasons. Please give us a call at 970.927.6556, send an email or stop by our beautiful showroom. We’d love discuss how to make your vision become a reality. Have you wondered how proportion plays a role when planning a room’s interior design? It was our job to please stakeholders of all ages and to address the array of functions hosted by the Jewish Community Center. Modern finishes with pops of color highlight the spaces.